This post is really special to me. Though the notes have been modified for easy understanding, I hold it dearly. Moving on, one really beautiful afternoon, I wanted to make mommy some fried rice. She watched me as I juggled between the ingredients and the kids and she said “Nma, bia kam’mu mé yá.” I starred at her and whispered “No mommy, go and sit. I will do it.” She smiled and replied “you forget I am a chef. Let me do it.” And folks, that was how mommy made her her special fried rice. I don’t even think I do it justice enough. 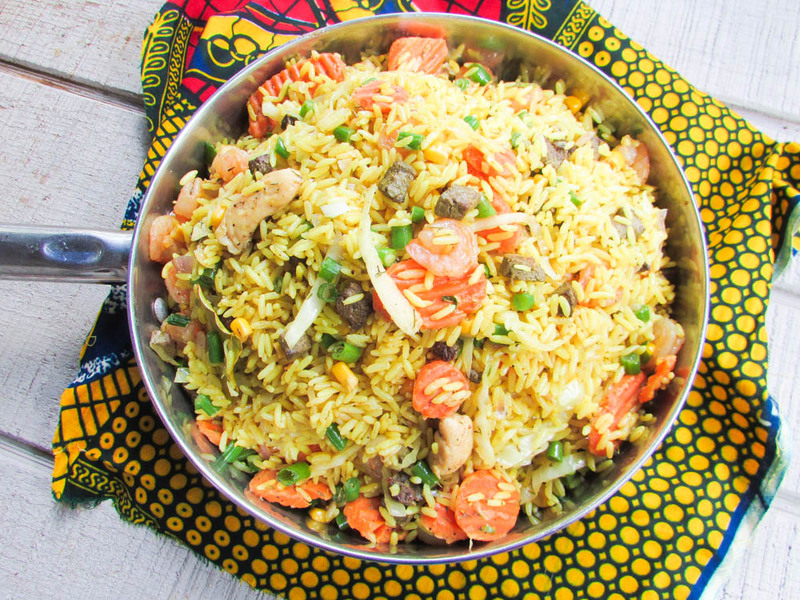 Due to popular demand on my facebook page on how to make the typical Nigerian fried rice, I decided to do this quick tutorial. This post has been gotten from my old blog; you may check it out here . The notes have also been a little modified for easy understanding. ½-1lb of raw or cooked shrimp. Wash liver and boil with salt and onion until tender; then drain and chop into small bite sizes and set aside. Wash rice under running luke warm water until clear; then drain. If using chicken, make sure to stir fry along with the onions, before adding the vegetables. 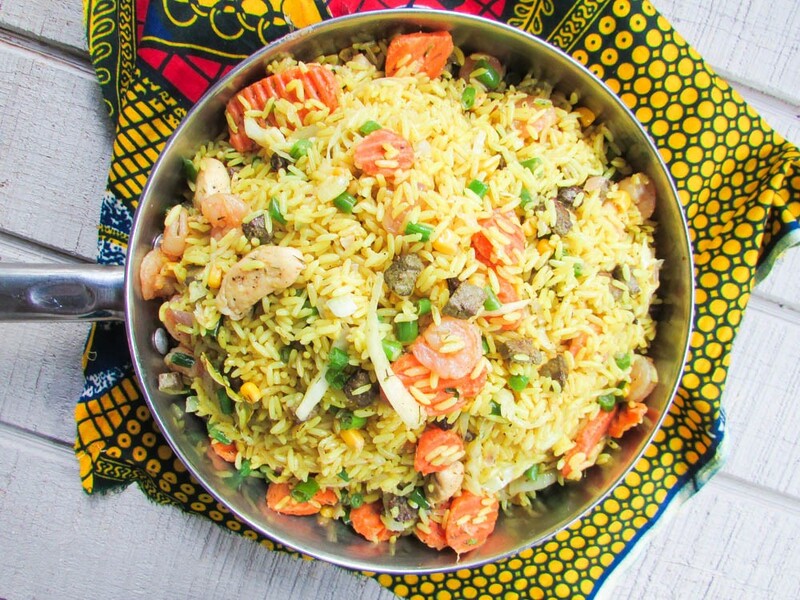 This entry was posted in Fried Rice, Nigerian Fried Rice, Nigerian Rice Recipe, Rice and tagged Fried rice, Fried rice recipe, how to cook Nigerian fried rice, Nigerian food blog, Nigerian Fried rice, Nigerian Fried rice recipe, rice, Rice recipe. Thanks 4 d easy tips on cooking fried rice. I’ve learned alot. So that’s why there aren’t a lot of posts on this blog – you had a previous blog!! *sigh* more work for me – just when I was congratulating myself that I had gone through your entire archive…..
thank God for your life. other ladies out there will be able to learn from you.